Verde Wealth Group uses a distinct process to ensure that we create the right foundation for your comprehensive holistic planning. 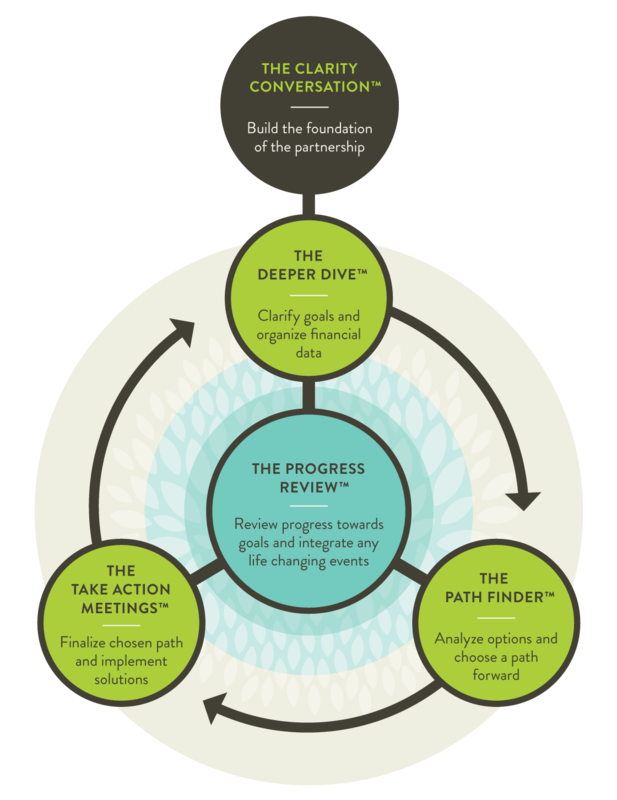 It includes progress review cycles that help us anticipate and prepare for your life transitions and allow us to continuously evolve your plan throughout your life. The process gives us a deep understanding of your current financial situation, as well as your short-term and long-term goals. It also ensures that we are aligned on a successful path, with ongoing reviews to confirm progress and to adapt to and incorporate life changes or new goals.